This was definitely one of my favorite meals from the whole trip. 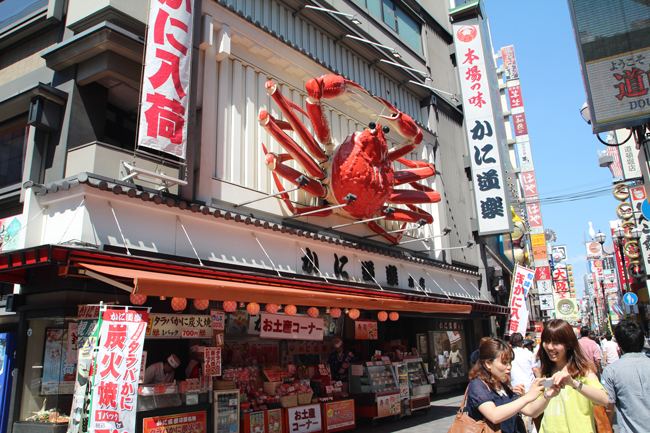 Kanidoraku Honten, the crab restaurant, is a landmark in Osaka, and the big crab on its top is one of the best well-known signs of Dotonbori, Osaka's food street. This is the first branch of the chain, founded in 1960, and then there's another one on the same street and several others across Japan. 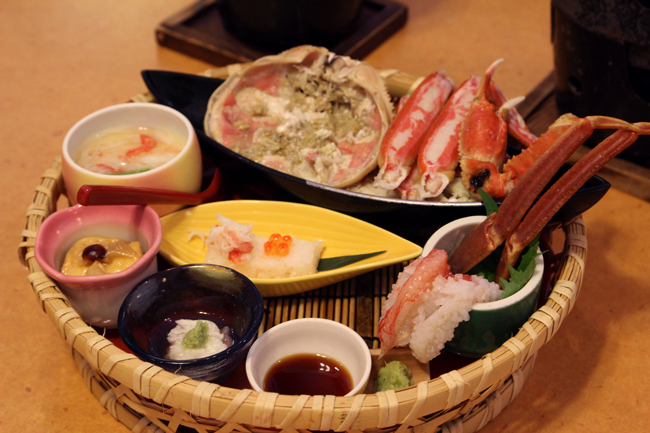 As I said, Kanidoraku Honten is a crab restaurant, offering several sets, all of them consisting of different kinds of crab food. 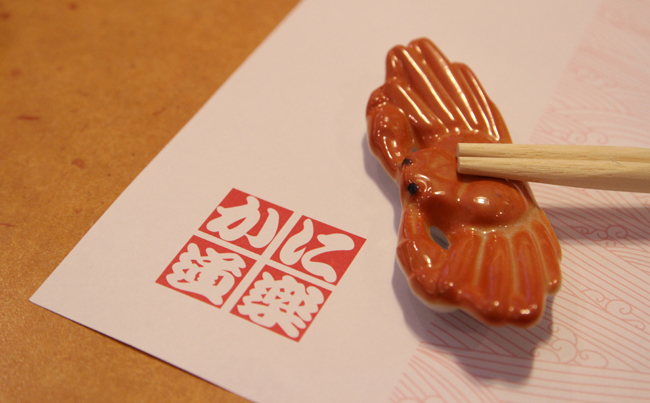 We ordered two sets, one at ¥3700 (US$37) and the other one at ¥4000 (US$40), and had crab cooked in all the possible ways you can imagine: steamed, boiled, raw, barbecued, crab sushi, crab rice, crab siu mai... Unbelievably delicious!!! Besides, the price of the sets is really good, taking into account that only one crab already costs around US$60 in Hong Kong! 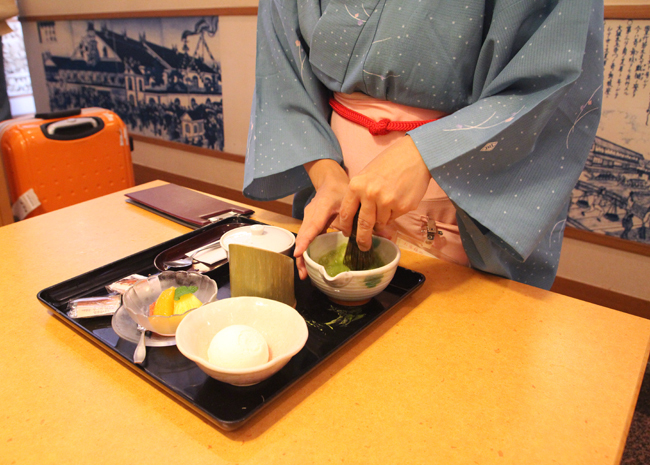 Below is our waitress preparing the maccha dessert for us, so interesting! Dessert is the only part of the meal without crab, in case you were wondering. All the waitresses wear this kimono by the way, really pretty! 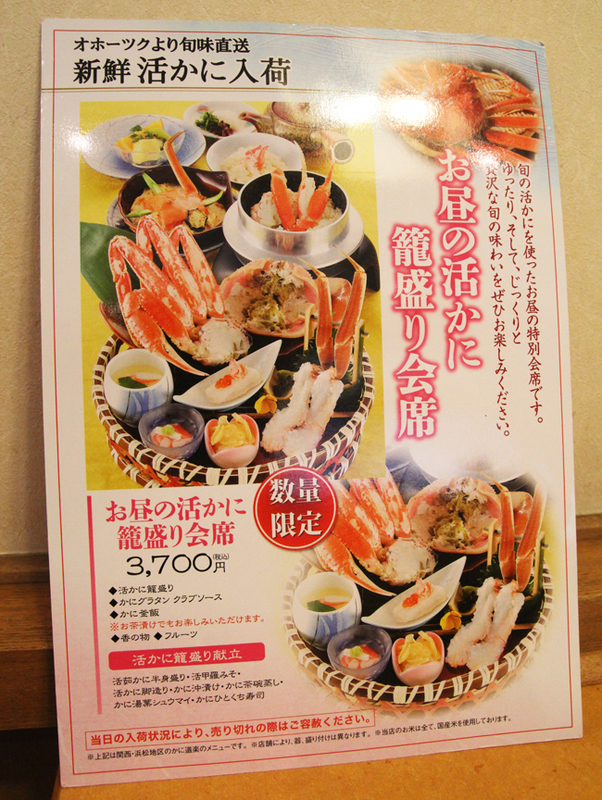 This is the ¥3700 set, and my favorite, because it included a full crab, yummy! 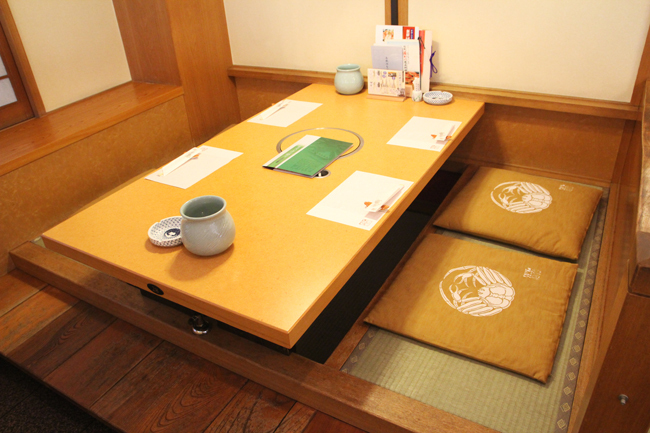 This is how we sat, I LOVE Japanese tables and "chairs"! Obviously you needed to take your shoes off first. 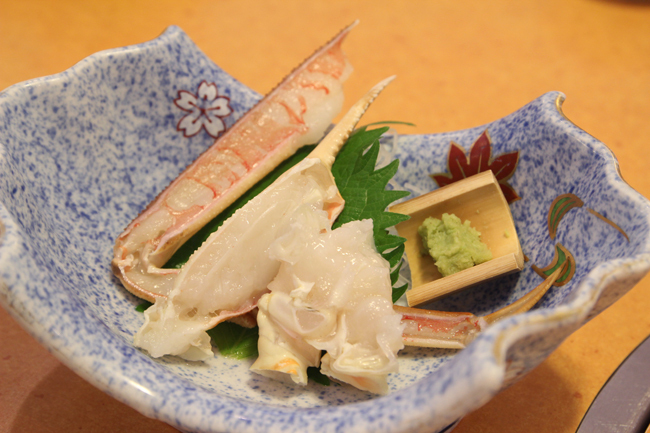 All in all, a must-try when in Osaka, you won't regret this awesome culinary crab treat! 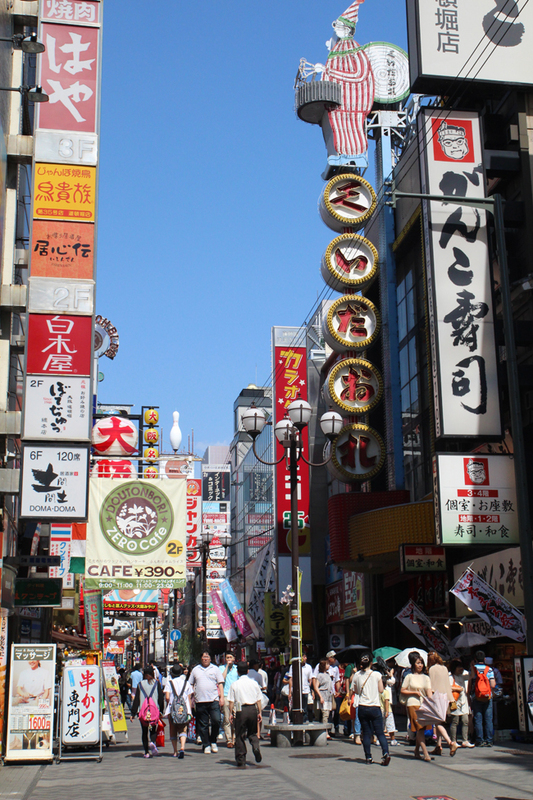 i wanna be in osaka too!!! 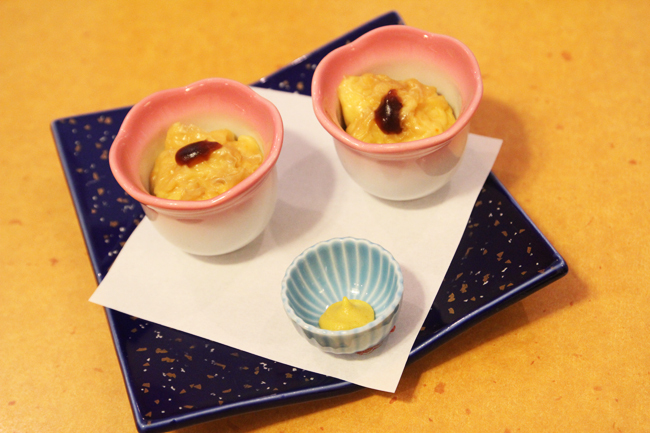 Whoa these food presentation look so beautiful! !